Keys of Life aims to develop the musical abilities of children with special needs as well as their confidence, resilience and social skills through learning the piano. Keys of Life also aims to build a network of music teachers trained to teach the piano to children with special needs. Suitably qualified teachers can apply to attend professional development courses run by Daphne Proietto. The courses follow the PRO method of teaching as developed by Daphne Proietto since 2000. Fly high Miss Daphne. You are an inspiration. Thank-you so very much for helping me get to the place I am at the moment. Thank you again Daphne for all you have done for me. Daphne, thank-you for the wonderful gift of music you have given to our family. Michael loves playing the piano and we couldn't be more delighted with what you have both achieved. The Keys of Life Foundation wants to link children with special needs and their families to music teachers within the Keys of Life community. If you would like to know more please fill in the enquiry form by clicking the Get In Touch button below. 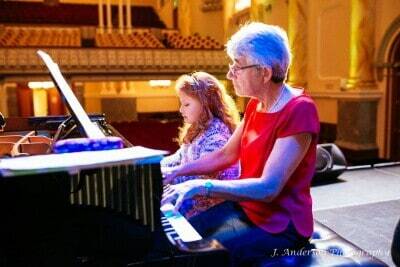 The Keys of Life Foundation offers professional development courses to suitably qualified teachers and music therapists in Daphne’s techniques of teaching children with special needs. After completing the course there would be the opportunity to become a part of the Keys of Life community. If you would like to enquire further about the Keys of Life professional development courses please fill in the enquiry form by clicking the Find Out More button below. 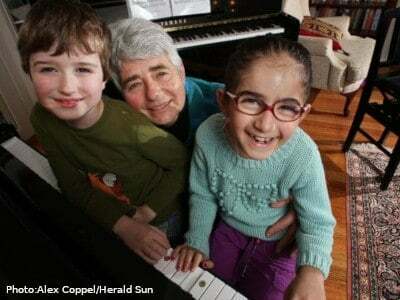 Daphne Proietto has been teaching children with special needs for twenty years. She was featured on 60 MINUTES in 2015, after which she was flooded with enquiries from parents keen for her to weave her magic on their children. The Keys of Life Foundation was set up to help Daphne train the teachers of the future, enabling more children to gain access to her methods. While her work centres on the piano, her methodology applies to all instruments. This PD will offer all instrumental music teachers practical skills for teaching special-needs children in a one-on-one setting. It will culminate in a performance by some of Daphne’s students. A hard copy and PDF version of the PD certificate will be available at the end of the session. You can see Daphne at work below in her 60 MINUTES appearance. NB: A long course starts July 18 and runs Thursday nights 7.30pm — 9.30pm every fortnight for 5 sessions, then negotiated times for observations and tutorials. The long course is an intensive course that runs for 30 hours over four months. Daphne Proietto featured in a Channel 9 segment, describing how Daphne’s program connects with and builds children with autism. If you’d like to make a contribution to help Keys of Life reach even more special needs children, simply choose the amount you’re happy to donate (or set your own amount) and click the button. Thankyou very much for your generosity, this is a program that makes a difference – which means your donation is making a difference. Like all good teaching pedagogy it is a combination of many different ideas and practices. 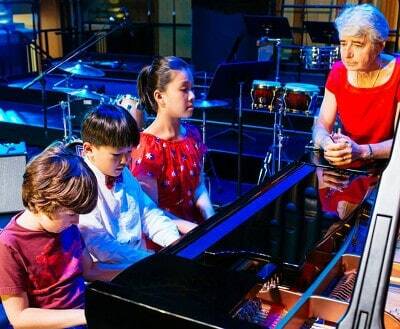 Pioneered by Daphne Proietto, it draws on the aural fundamentals of the Suzuki method and her studio piano teaching experience to explore and realize the unique skills that a lot of special needs children have. Daphne started teaching special needs students at her home in the year 2000. Word quickly travelled around musical circles that she was producing amazing outcomes for autistic children using her innate knowledge of the skills that some of these children possess i.e. perfect pitch, excellent memory. Her work often concentrates on basic motor skills early on and bringing the child to an awareness of their aural skills. Daphne also concentrates enormously on building a rapport not only with the child but with the family as well, emphasizing that most of the work is done at home and that the parents need to be involved in their child’s musical development. Daphne has extended her work to include children who have many different disabilities. The deep mutual respect she and her students have for one another is testament to her immense success as a teacher and mentor. Her concerts simply have to be experienced to be understood. They are a great, joyous celebration of humanity. 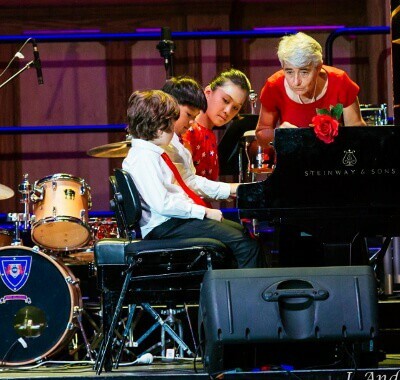 Her students, some of whom have to deal with enormous social and physical issues, come up to the piano, bow to the audience and then proceed to perform with a level of calmness and concentration that leaves the audience gobsmacked. One of Daphne’s concerts was featured on 60 Minutes in 2015, and the need to develop teachers with skills embodied by the PRO method became very apparent when Daphne was inundated with calls from parents after the airing of the show. Daphne has never received any payment for her work and is fast approaching retirement age. The many families she has helped would love to see her work continue and thus Keys of Life was born. Keys of Life aims to provide a network of teaching studios and music schools that can teach special needs children the piano. Suitably qualified teachers can apply to attend a professional development course run by Daphne Proietto. 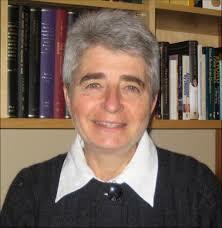 The program follows the PRO method of teaching as developed by Daphne Proietto since 2000. Daphne Proietto teaches special needs students and has produced amazing outcomes for autistic children using her innate knowledge of the skills that some of these children possess i.e. perfect pitch, excellent memory. Find out more about the PRO Method, and how it may be a great match to help with the development of your child. Just complete and submit the form below and we'll get back to you as soon as possible to discuss things in more detail. If the PRO Method is something that you'd like to investigate further, as a potential teaching direction and methodology for yourself, your colleagues and/or your organisation, please complete and submit the quick form below. We'll get in touch with you as soon as we can to follow up, and provide a more detailed appreciation of what can be achieved and how.